It is common to develop mid and upper back pain for a breastfeeding mama. When trying to focus on getting the latch just right, we often forget to think about our own posture, which can lead to prolonged poor positioning, strain to various soft tissue structures and pain which lasts beyond the nursing sessions. Keeping the head forward (looking at the baby’s face) for extended periods can lead to neck pain. Hunching forward can lead to upper and mid back pain. Hiking up the shoulder of the arm which supports the baby, can lead to pain in the shoulder, neck and upper back. It is important to try to bring the baby toward the breast, rather than bringing the breast to the baby. 1. Assume a comfortable position, placing a small pillow behind low back for support. 2. Use a Boppy, My Breast Friend, or any pillow to support the baby, thus bringing him/her up higher toward the breast and reducing hunching forward. 3. Place a pillow or use the arm rest of a couch or chair to rest the elbow of the arm which is supporting the baby. 4. Make a conscious effort to lower the shoulders, they have tendency to ride up toward our ears, when we are focused on other things. 5. Try to straighten out your neck, if possible sit in a chair that is high enough to support your head. Avoid sitting fro prolonged periods with a forward flexed head/ neck. 6. If sitting to breast feed still feels straining, try a side-lying position instead. 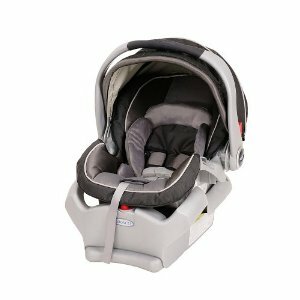 With the cold season just around the corner, I thought I’d post about a useful product to help keep your baby warm. When my son was just a tiny infant last winter, I felt that just having him in lined pants was not enough to keep his little legs warm while outside. I bought a couple of pairs of “boy colored” tights for him to wear under his pants, which were great while outside, but were a bit of a hassle to remove when we got to our indoor destinations. That’s when I discovered BabyLegs! 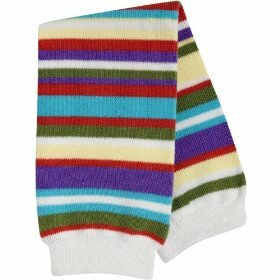 These are adorable leg warmers which for an infant cover the legs from thigh to ankle. They are easily removed without having to take off the child’s pants when getting to a class or some place where you want to stay for a while. These come in many fun prints to keep their little legs toasty and stylish.